They’ll know Spring has sprung for sure when you send this abundant bouquet of beautiful assorted tulips. 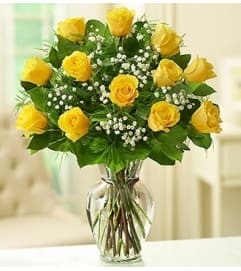 Hand-designed in a chic glass cylinder vase, this gorgeous gathering creates a magical moment that expresses yourself perfectly. 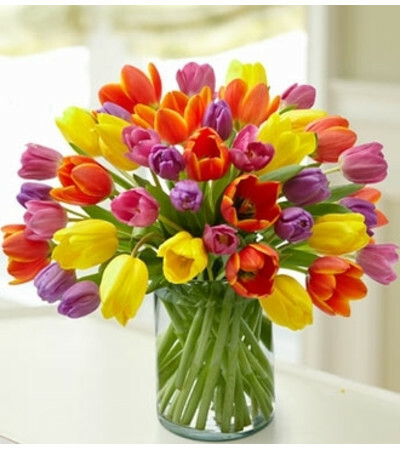 Stunning bouquet of over 40 fresh assorted tulips in an array of Spring colors. 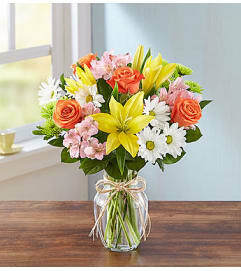 Artistically designed by our select florists in a clear glass cylinder vase.